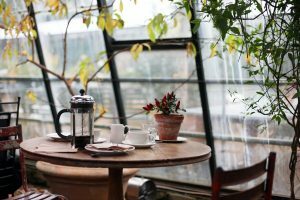 Conservatories have had a poor reputation in the past as a random glazed room stuck onto the rear of a property consisting of either a tiled floor with wicker furniture or junk that people don’t want elsewhere in their homes. Fast forward two decades and conservatories now have more pleasant euphemisms such as orangery and summer house. Essentially they are the same structures, but they have become more fashionable as people hanker after more space in their current dwellings rather than selling up and moving as they expand their brood. Take a look at how you can give your conservatory a renewed purpose and see it as an integral part of your family home. You don’t have to use your conservatory space as another sitting room. Instead, why not opt for a kitchen/diner extension and utilise your conservatory as a fully glazed dining room. Imagine the leaded windows, classic oak floorboards and large table to accommodate your family and guests. The open plan lifestyle that this space would create is highly conducive to twenty-first-century living. If you were ever to sell up and move on at any point in the future, your conservatory would be the very heart of the home rather than an add-on or afterthought. If the kids are already taking up enough space in your home and you fancy a more grown-up space to play your sorts of games, why not set up a pool table, foosball table top or retro pinball machines within your conservatory. Keeping well thought out zones within the home means that the games never have to encroach into the more formal areas of your humble abode. You could have friends over for a spot of ping pong, open up the French doors from the conservatory and have a games evening with a barbecue, or you could simply while away the evenings after a hard day at work playing your favourite Pacman arcade game. A horticultural renaissance has bloomed in recent years, with more adults becoming green fingered in an effort to de-stress and find a relaxing hobby. With a conservatory, you don’t need to have acres of land to flex your gardening muscles. If you install residence 9 windows as part of your extension, you’ll have the perfect glazing to let in the sunlight you need to grow all sorts of herbs from tarragon to thyme and from coriander to curly parsley. 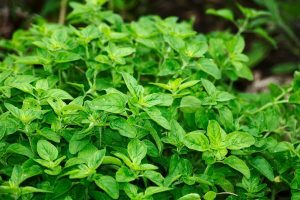 While you may not have the heat of a greenhouse, you’ll be able to adorn your conservatory with sweet-smelling herbs and spices that grow well indoors with direct sunlight and frequent watering. Whether you call your conservatory a glasshouse, a summer room or an orangery, you will have extra square footage within your pad. It’s vital that you use this space wisely and ensure that you designate it as a room within your home. By being a little more revolutionary, there is no need to make do with a conservative conservatory.